Fleeing the scene of a motor vehicle accident, often referred to as “hit and run”, is illegal in Pennsylvania. For victims injured in a hit and run accident, there can be a feeling of helplessness, especially if the offending driver is not found. However, if you or a loved one has been injured or suffered a wrongful death in a hit and run accident, it may still be possible to recover compensation for your damages. At The Law Office of Kamensky, Cohen & Riechelson, our personal injury attorneys have been practicing law since 1972. We have helped many clients receive full and fair compensation for their injuries sustained from hit and run accidents in Pennsylvania towns including Bensalem, Northeast Philadelphia, Levittown, Feasterville, Millbrook, Penndel and the greater Bucks County area. Lean on our 45 plus years of legal experience to seek the full and fair financial compensation that you need to secure your family’s and your financial future. Call our office today for a free and confidential consultation regarding your hit and run accident and how we can best assist you with your personal injury claim. Ensure your safety and the safety of others. This includes any passengers in your car or any individuals who also may have been affected in other cars or as pedestrians or cyclists. Record information about the vehicle which fled the scene. If you are not in need of emergency medical care and you are in a safe position, getting the license plate number, make and model of the vehicle, and the color or other identifying features of the vehicle. This may allow law enforcement to later find the culprit. Record as much as possible. This can be taking pictures, videos or at a minimum taking notes of the situation while still fresh in mind. Gather personal information from any witnesses. This is especially vital in a hit and run where you may be the only individual left who was involved in the collision. Do not follow the offending car. Pursuing a vehicle which has fled the scene of an auto accident is incredibly dangerous. They may be armed, they may be breaking other laws, but they are certainly going to be scared and defensive. If law enforcement officers are unable to track down the offender in your hit and run accident, you may still be entitled to financial compensation through a personal injury claim. Our Levittown attorneys will work with your auto insurance provider to pursue the case as an uninsured or underinsured personal injury claim. What this essentially means is that the claim will be filed with your auto insurance company in the same manner as if the other driver was identified, but had no insurance. In Pennsylvania, underinsured and uninsured motorist coverage is not required by law. If you do have this coverage, we will be able to seek damages for medical expenses, property expenses, and more. If you do not have underinsured and uninsured motorist coverage, we will still work with your insurance providers to seek compensation by other available means. With hit and run accidents resulting in injury, your personal injury claim already has a built in act of negligence and/or recklessness. 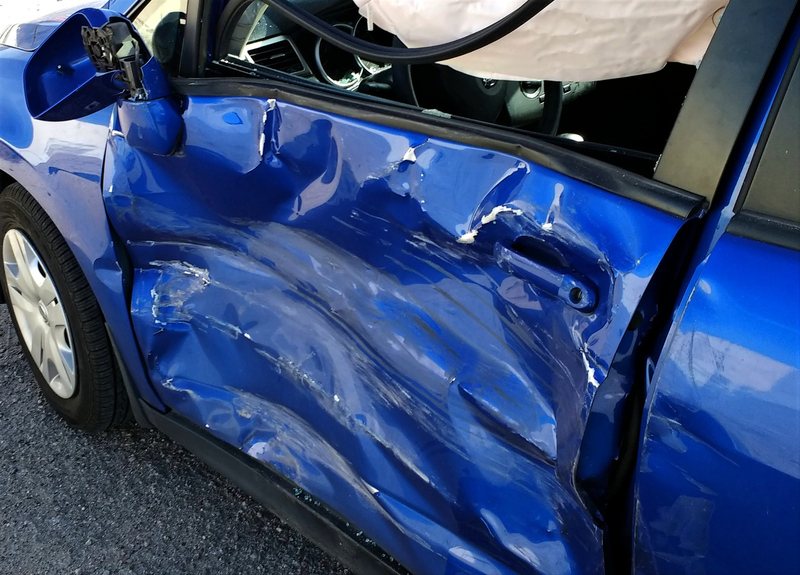 However, our Millbrook hit and run accident lawyers may still strive to show that the other driver was acting unlawfully in other ways such as drinking and driving or driving while distracted in order to build an even stronger case still. In addition, it is vital to show that you sustained serious injuries as a direct result of your motor vehicle accident. It is wise to see a doctor as soon as possible in order to receive an official diagnosis and to link your injury back to the accident in question. The more quickly you are able to receive your diagnosis, the stronger the connection between your injury and the accident. Finally, our attorneys will aim to show that your injuries led to expenses and losses such as medical bills, lost wages, every day expenses, physical therapy, pain and suffering, and more. Proving these three points is the basis of a personal injury claim which will likely end in a successfully settlement or verdict. The personal injury lawyers of Kamensky, Cohen & Riechelson have been serving clients for over four decades in Pennsylvania towns like Northeast Philadelphia, Bensalem, Levittown, Millbrook, Penndel, Feasterville, and all of Bucks County. If you or a loved one has been injured in a hit and run accident, we will work with your unique case to file a personal injury claim which may lead to fair and full compensation for your injuries. We believe in keeping our clients informed and involved throughout the legal process. Contact us online or by calling our Bensalem offices at (215) 337-4915 today to speak with a member of our personal injury legal team in a free and confidential consultation regarding your hit and run motor vehicle accident injuries and how we can best serve your individual needs.